Back in the 1940’s, scientists thought that a freshwater, single-celled form of green algae might be the key to ending world hunger. But because of an increase in crop efficiency, chlorella never took off. Now, almost 70 years later, this humble aquatic plant may finally be having its moment. 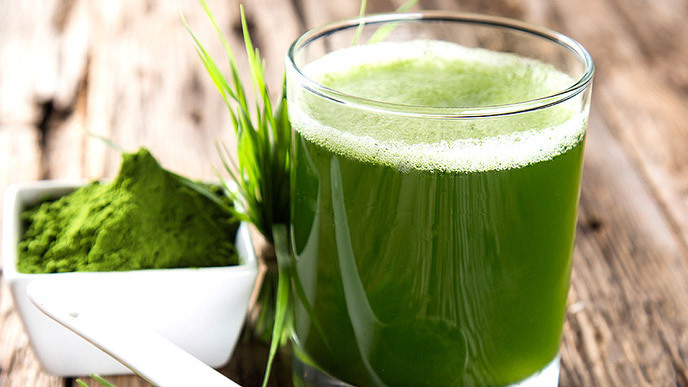 Nutritionists and digestive health experts such as Peggy Kotsopoulos and Joseph Mercola, DO recommend chlorella for repairing damaged cells and helping to remove toxins from the body. Celebrities such as Jennifer Aniston, Victoria Beckham and Miranda Kerr are all fans. Natural health specialist Nykki Hardin, who created Nykki’s Cleanse, considers chlorella to be “the most perfect food on the planet,” because it’s nutrient-dense, provides a complete protein, and helps oxygenate the blood. “Taking chlorella is the best way for anyone to go about repairing the inner lining of their intestinal walls,” she says. “Chlorella is like eating meat and vegetables in one supplement,” explains Michael Rosenbaum, MD, an internist in San Rafael, California, “It’s high in protein and has the highest amount of chlorophyll of any food source. It contains 60% protein, 18 amino acids and numerous vitamins and minerals, including vitamins A and B12, Omega-3 fatty acid and iron. Rosenbaum uses the supplement to treat cancer, ulcers and other chronic conditions, and to boost immunities and improve daily nutrition, but he feels detox is really its best use. “Chlorella has the unique ability to bind to toxic heavy metals, such as mercury, lead and uranium, and other chemicals,” he explains, without robbing the body of the minerals it needs. Rosenbaum advises patients to take chlorella throughout the day to maintain a therapeutic level in the system, and provide something for toxins to attach to. He considers it a mandatory first course before fish—especially sushi—to counteract mercury intake. It’s also a great accompaniment to cocoa, which contains the toxic metal cadmium. It’s not all that easy being green. Possible side effects of chlorella supplementation include sun sensitivity and flatulence, and Rosenbaum believes people with gout should stay away. Hardin cautions first-time users to ease into it. “Initially, it can cause nausea or diarrhea. If you eat it enough, your waste can become green.” So you can start your own green movement.